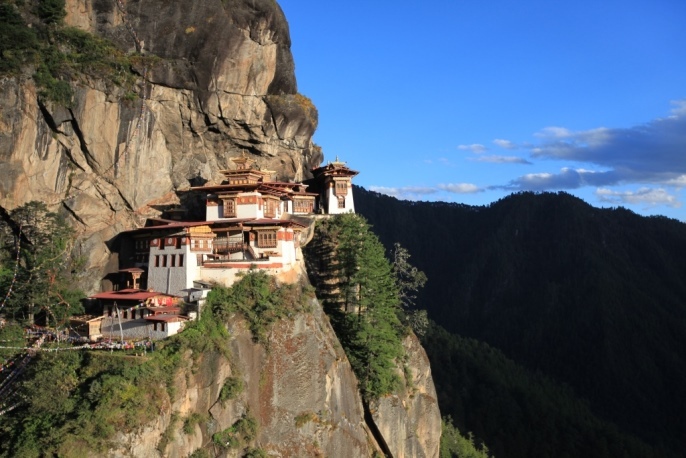 Tiger’s Nest in Bhutan, which lies at 10,000 feet and was built in 1692. There are a lot of good reasons why someone might visit the Kingdom of Bhutan – but now there are more than ever. The only Buddhist nation on earth, Bhutan famously measures its success not with gross domestic product, like most countries, but rather with gross national happiness. Perhaps not surprisingly, a past Business Week poll found it the happiest country in Asia. From a visitor’s perspective, its highlights are natural, scenic and cultural, as Bhutan occupies the highest mountain range on earth, the Himalayas, is known for its iconic high altitude monasteries, clinging to cliffs in architectural splendor, and its welcoming people. It was the world’s first country to write environmental protection into its constitution, and mandates that at least 60% of the terrain remain covered in forest. About the size of Switzerland, and similarly landlocked and mountainous, it does not have one single traffic light. In another unique twist, Bhutan had an exceptionally peaceful transition of power when the King gave up much of his power and transferred the nation to a constitutional monarchy in 2008. 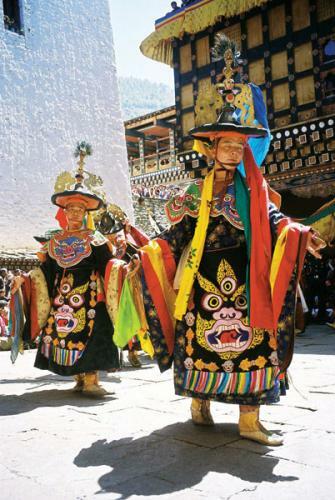 Smart Deals: Bhutan with Explore!